Casseroles from the oven are almost as magical as the meals that come from the slow cooker. They’re especially nice when it’s close to payday and you have lots of odd and end ingredients in your fridge and pantry that need using up. 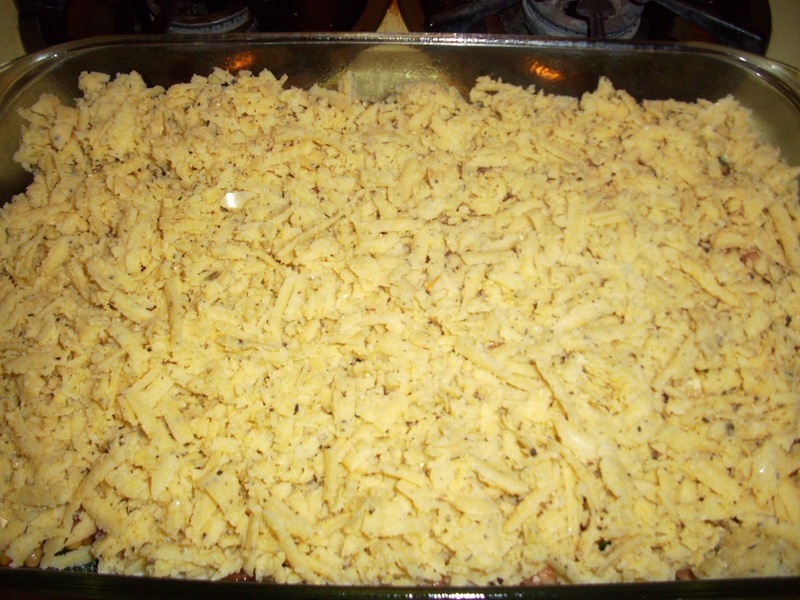 With casseroles you can put a variety of ingredients in a dish, top with a starchy carb and bake it into something amazing! 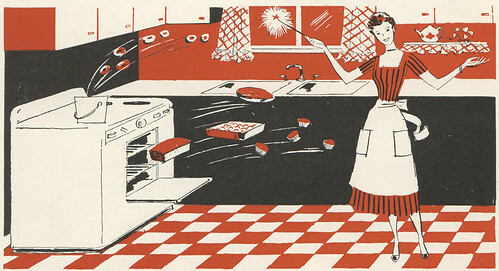 What is it about baking casseroles that always makes me feel like a 1950’s wife? Probably the fact that I’m a stay at home mom and a super sonic multi-tasker just like they use to be! Yeah, I said super sonic. See, that’s me. Casseroles going in as the cupcakes come out. AND she’s looking fabulous in a spotless kitchen with no dishes in her sink either, did you notice? Anyway, I’ve been so busy baking cupcakes these days that our dinners (on most nights) have been seriously simplified. Kind of ironic that I cook all day for others and then don’t feel like cooking much for us come night time, huh? Ha! See why I haven’t felt like cooking much?! 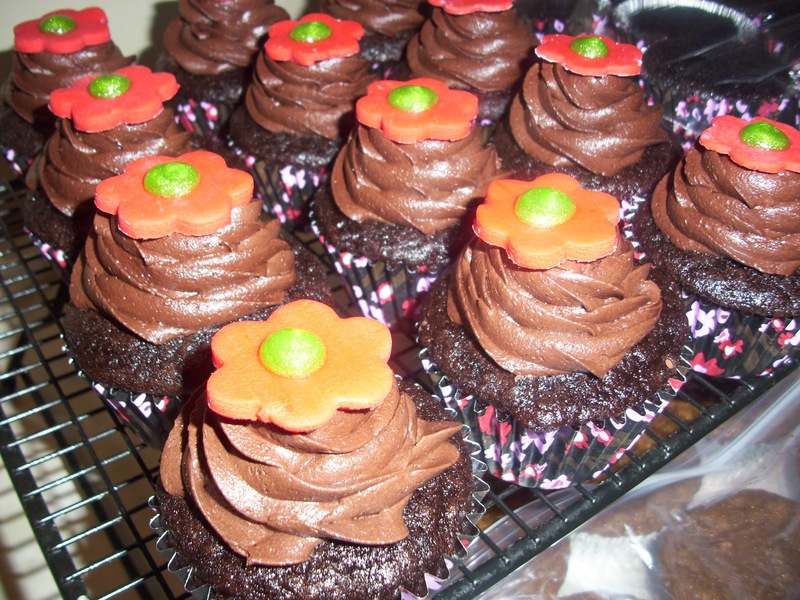 I’ve made 10 dozen cupcakes this week! So needless to say, last night was a casserole kind of night. I needed something Italian but something warm and comforting too. I was out of a lot of things but I had some yummy staples in my fridge and pantry which included something I’ve never made before… POLENTA!! 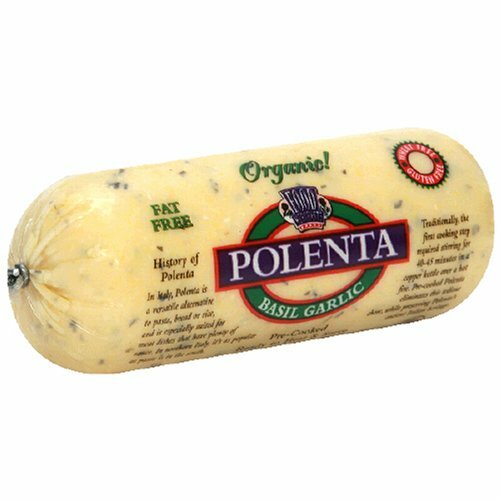 Polenta is a finely ground cornmeal that’s typically cooked by boiling and whisking it in broth to desired consistency. Think of a grits type of deal. 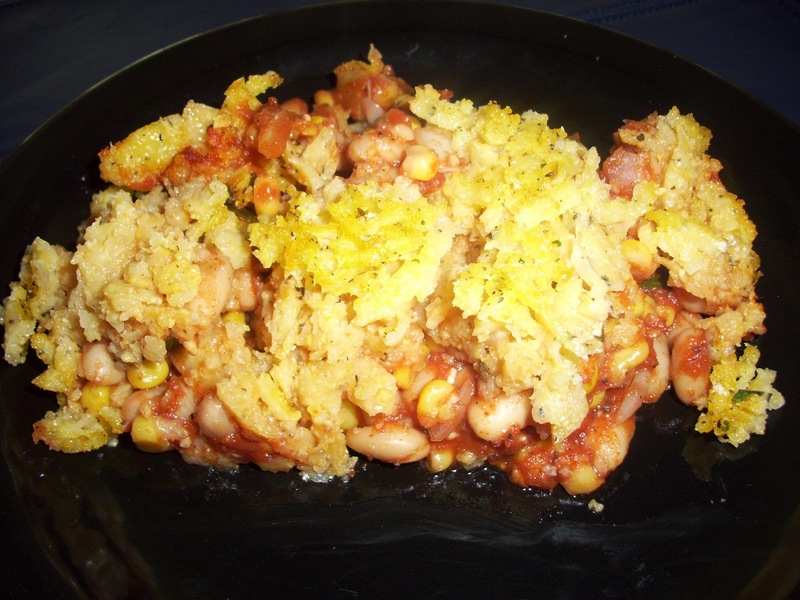 Then it can be baked, fried, layered in place of noodles or used under or over beans and rice. I remember reading about people making a pizza crust out of it too! This is all well and good but I didn’t have that kind of time to make my own from scratch. I instead decided to use a ready made type that I had purchased from the health food store. I remember buying it thinking, “I’ll need this on a whim one night.”. This was the polenta I bought and the whim recipe I created. The result? A super fast, comfort food feast! This recipe has all the flavors you love in a typical Italian dish but has the warmth and smokiness of a chili. The polenta gives it a nice crunch and makes this a very filling and comforting meal. 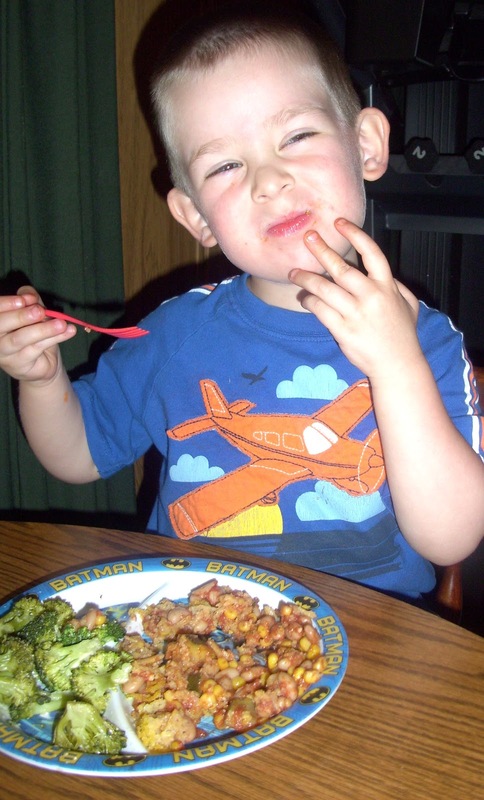 You can load it up with your favorite veggies, just add to the bean mixture. I was out of fresh herbs or I would have mixed some into the polenta before spreading it in the pan. Feel free to add fresh parsley, basil or oregano for a truly classic dish! You could even add Vegan cheese to win over any skeptical omnivores! 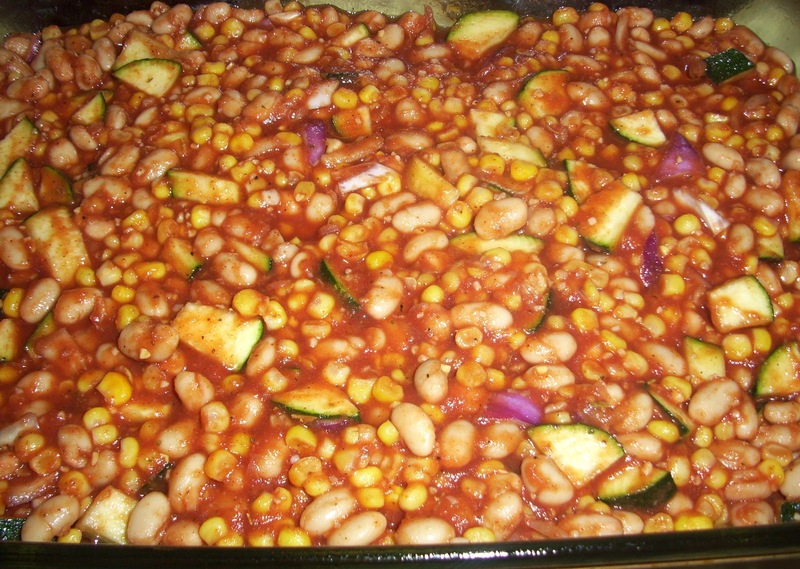 Mix beans, corn, tomato sauce, zucchini, onion and all seasonings together in a large bowl. 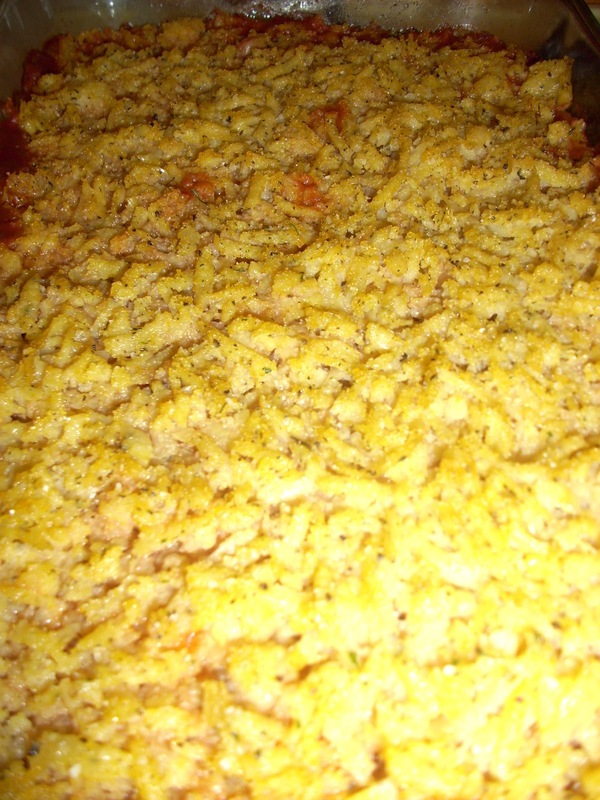 Spread evenly in a 9×13″ casserole dish that’s been sprayed with non-stick cooking spray. 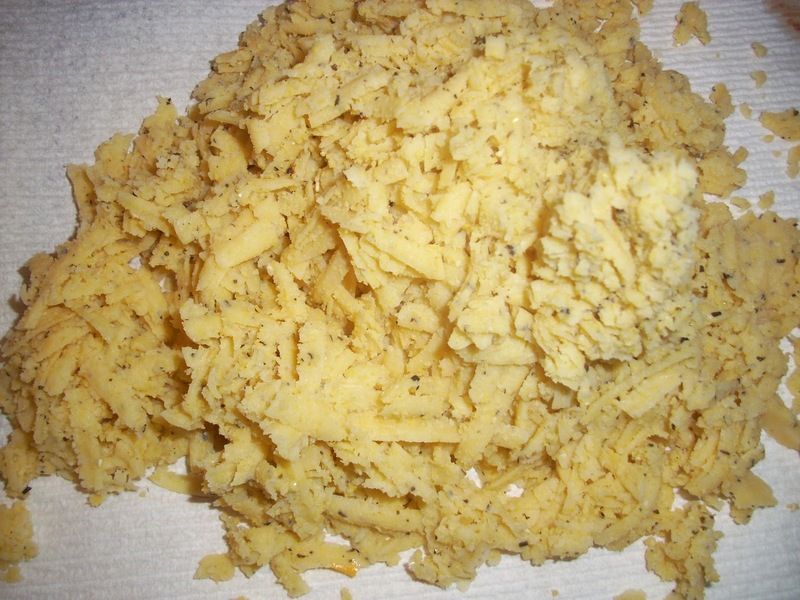 Remove outer wrapper from polenta and grate using a box grater. Spread evenly over the bean mixture and spray the top with non-stick cooking spray. Bake uncovered in the oven for 30 minutes. Until the bean mixture is bubbly and the polenta is crispy and brown. The polenta mimics hashbrowns! Remove from oven and allow to cool slightly before serving and diving in. This is great paired with a mixed green salad or even some roasted veggies and crusty whole grain bread. Mmm! And it’s kid-approved! Previous Post Chocolate Chip, Peanut butter, Banana "Ice Cream"
Next Post No Bake Peanut Butter Coconut Balls!